One of the most elusive and discussed goals of ecologists has been to understand what generates and maintains the spatial heterogeneity of diversity . Attention to the problem has resulted in several mechanistic hypotheses: some emphasizing niche-related processes, others emphasizing historical contingencies and many supporting the role of neutral processes . Reconciling these views is one of the most challenging tasks facing contemporary ecology. Discussing diversity obviously means establishing from the outset what diversity is. Although most studies have focused on species’ taxonomic identity (e.g. Taxonomic Diversity TD), there has been a rapidly increasing effort to bring information about their abundance, evolutionary history (e.g. Phylogenetic Diversity PD) and their role and function in the ecosystem (e.g. Functional Diversity FD) to bear on questions of diversity patterns . The past difficulty in studying all the different facets simultaneously is mainly due to three shortcomings: 1) the need for standardized data at many locations that allows the integrative study of all aspects, including data on species abundances, phylogenies and functional roles in many sites; 2) the difficulty to obtain the relevant species features responding to biotic and abiotic forces (particularly for less conspicuous groups such as arthropods) and 3) the inherent complexity in relating the multiple drivers at multiple scales for multiple diversity measures and disentangling the exclusive and shared drivers of variation in diversity [e.g. 4]. Until now, no study has solved any of these issues for any taxon. 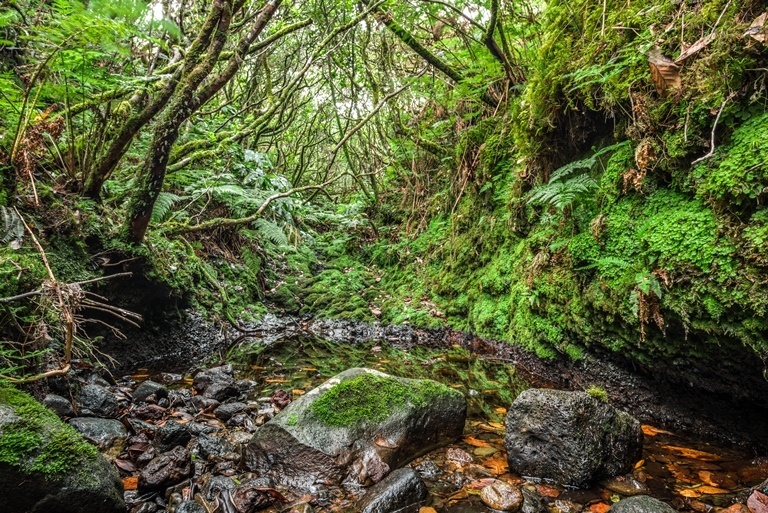 Using the Macaronesian islands as model systems and spiders as model organisms, the project MACDIV aims to advance the fundamental knowledge of the factors responsible for existing diversity patterns. Due to their sharp boundaries, known ages and often simplified communities, islands are long recognized as ideal test grounds for ecological theories , facilitating the study of putative drivers of diversity compared with much more complex continental settings. Macaronesia encompasses four main oceanic archipelagos spread along a latitudinal gradient across the Atlantic Ocean. They probably constitute the best known islands worldwide in their biodiversity . Spiders present a set of desirable characteristics for large-scale studies, as they are probably the single megadiverse group that is manageable as a whole, have a relatively well resolved higher-level phylogeny [e.g. 6] and are often well-known in their ways of life and functional roles in ecosystems . 1) Characterize cross-scale variations of TD, FD and PD from plots to archipelago scales. 2) Identity spatial, historical and environmental factors that may influence TD, FD and PD patterns. 3) Determine trophic differentiation between species to quantify the importance of ecological interactions within communities in driving local diversity patterns. To reach our goals, we will 1) carry out intensive fieldwork using a standardized sampling strategy  in different sites within different islands and within different archipelagos, 2) collect genetic, functional traits and trophic preferences using modern DNA sequence based technology for all the species sampled and 3) implement advanced statistical methodologies, in large part recently developed by our team , to reveal mechanisms driving observed diversity patterns. We build on past four successful FCT projects on islands led by the PI and on several complementary efforts that have been initiated in the PI’s Lab. Moreover, team members have intensively published on island biogeography, evolution and conservation using Macaronesian islands as models [e.g. 10, 11, 12]. These studies have contributed to Macaronesia becoming one of the most studied island systems in the world and the team members to be internationally recognized for their expertise. Results of MACDIV are relevant in contributing to the EU BEST Indicator Essential Biodiversity Variables for Islands and for the new IPBE platform. Moreover, we will contribute to Strategic Goal C of the Aichi Biodiversity Targets for 2020 as defined in the CBD 2011-2020 Strategic Plan (see www.cbd.int). Finally, we expect this project to provide strong baseline information regarding the processes structuring diversity on these outermost regions of Europe. Other participants from other Institutions: Brent Emerson (Island Ecology and Evolution Research Group, Instituto de Productos Naturales y Agrobiología, Canary Islands, Spain); Miquel Arnedo and Luis Crespo (Departament de Biologia Animal, Universitat de Barcelona, Barcelona, Spain); Jagoba Malumbres Olarte (University of Copenhagen); Maria Romeiras (ISA, Univ, of Lisbon).